A pair (2) of heavy duty pull out wire baskets. 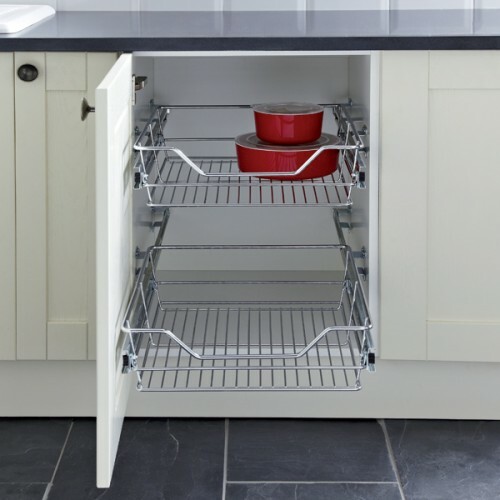 Designed to fit cabinets 600mm wide. Runner design allows fitting to standard hinged doors. Complete with full fitting instructions and fixings for cabinets 16 - 20mm thick. Supplied with full extension ball bearing runners making them smooth to operate and very strong. 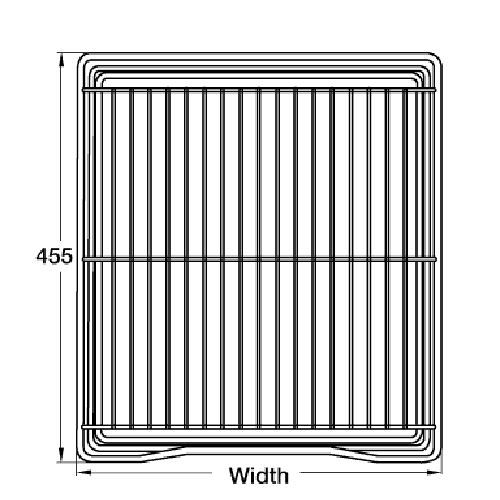 Each basket is 140mm high and designed to fit an internal width between 560 and 568mm. The maximum weight each basket will hold is 30kg.